Duke University’s Fuqua School of Business was recently voted No. 1 in Bloomberg Businessweek—and its newly designed hotel and conference center, the JB Duke Hotel, reflects the level of global sophistication that has established it as a leader in business education. 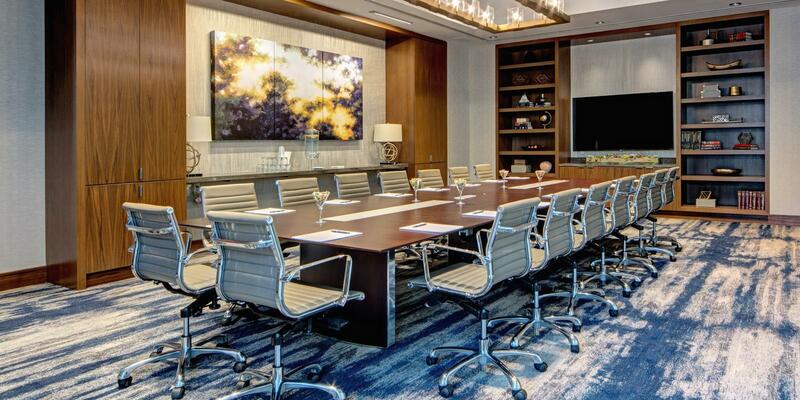 The hotel is comprised of 198 guestrooms including 11 suites, 26,350 SF of meeting and classroom space, executive boardrooms and a 5,450 SF ballroom. 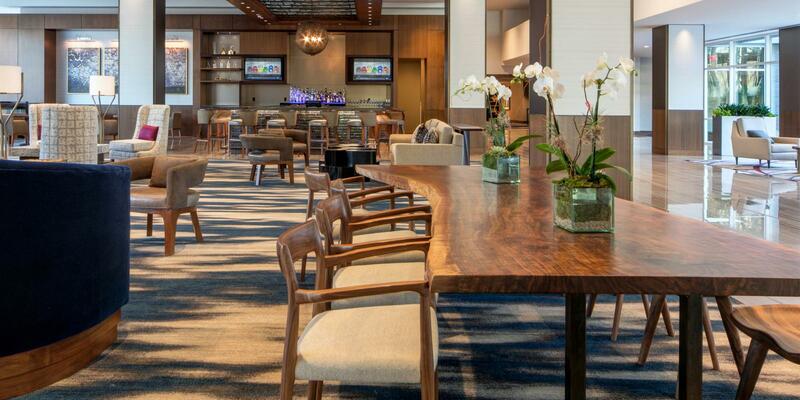 Working in collaboration with Looney & Associates, Brintons designed custom carpeting for the public and meeting spaces. 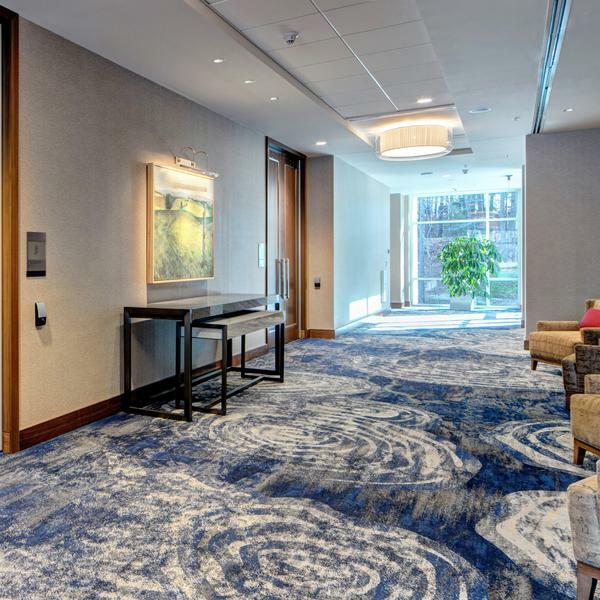 “Looney & Associates collaborated closely with Brintons to create a stunning design showcasing the natural beauty of Duke University,” said Designer Sarah Bartelt. Nestled among the trees of North Carolina’s Duke Forest, the JB Duke Hotel boasts beautiful views, which inspired Looney & Associates’ design concept, Sophisticated. Southern. Global. 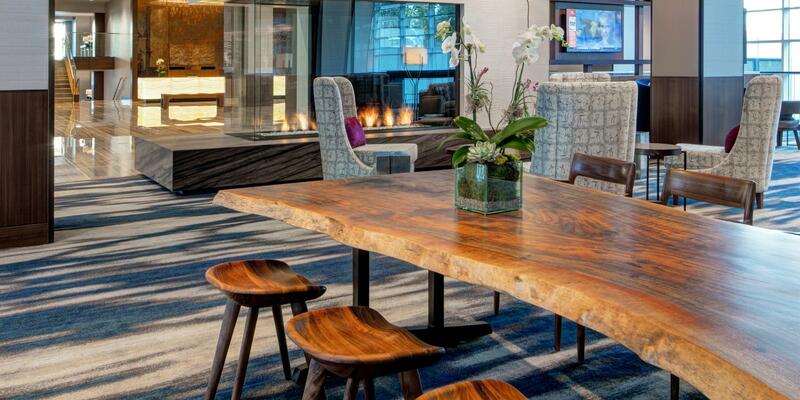 The hotel’s public spaces combine natural materials and colors with the international style of the existing conference center architecture. 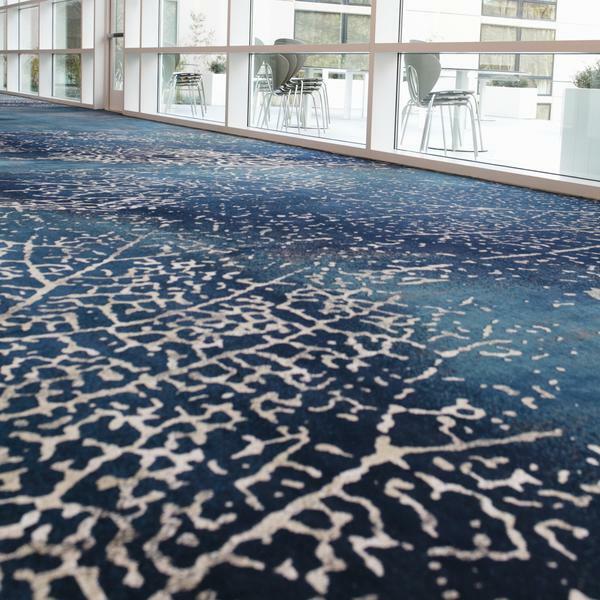 Inspiration for the carpet designs was drawn from fallen forest leaves, dappled light shining through a tree canopy and flowing river rock patterns which intertwine throughout the building in hues of deep blue and bronze. Due to the large scale of the carpet patterns, we ordered multiple rounds of strike offs and prints to assist our clients in visualizing the final product. 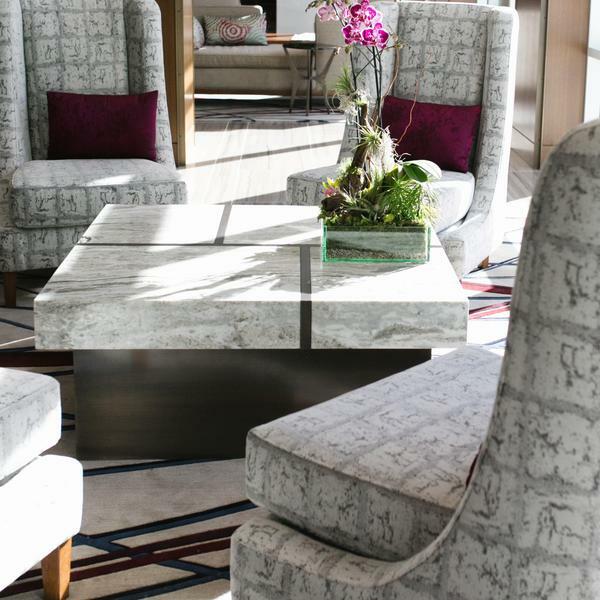 Brintons was actively involved throughout the design process and very accommodating during the planning and installation phases to ensure complete client (and designer!) satisfaction.